The Senate Select Committee on Elections passed a wave of bills Tuesday night that would change numerous election processes in the state. They also passed a resolution calling for a Constitutional Convention to make changes to the U.S. Constitution. Republicans outnumbered Democrats 6 to 2 at the meeting, and there was little input from the public on the six bills that were passed. 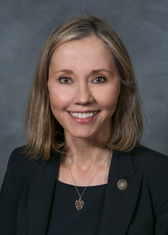 Sen. Democratic Leader Dan Blue and Sen. Terry Van Duyn (D-Buncombe) voted against the measures and spoke against a few of them. The Constitutional Convention resolution was not introduced until minutes before the meeting, but a Senator was able to give two residents a heads up, and they spoke in favor of the measure at the meeting. North Carolinians who may have been against the resolution were not given the same courtesy. The other bills that were passed included a moratorium on extending voting hours at one precinct during an election, unless all precinct voting hours are extended; making Carteret County Board of Education elections partisan; and changing the primary elections dates in the state. The bill that was discussed the longest was Senate Bill 285, which subdivides Asheville into six districts for city council elections. 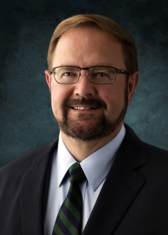 The bill, introduced by Sen. Chuck Edwards (R-Buncombe, Henderson, Transylvania), would require that city council members be elected in the districts and the mayor be elected citywide. Asheville would be required to draw its own maps by November, and if they failed to do so, the General Assembly would do it for them. Edwards told the committee that he didn’t want to broach creating districts in Asheville, but that some citizens had approached him and said they felt disenfranchised. Van Duyn, who represents 85 percent of Asheville residents, said she had never once been approached by anyone asking her to split the city into districts, and that she has received requests not to do so. She said the city was planning a referendum in November and asked legislators as a professional courtesy to give Asheville residents a chance first to weigh in on the issue before passing such a bill. “I understand I’m in the minority, but this is my city,” Van Duyn said. A contract lobbyist for the city also spoke to the legislators and said there would indeed be a referendum in November. He asked that if legislators were going to pass the bill, if they could at least not make it effective until after November. In the end, Republicans voted to give the bill a favorable report. Previous PostSome simple NC tax code changes that could improve children’s livesNext Post Why have Tim Moore and Phil Berger turned their backs on this cause? Republicans behaving badly, very badly.